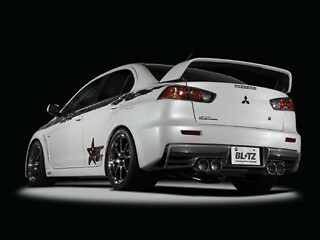 Improve the efficiency and sound of your exhaust with a Blitz Nur-Spec Quad Tail design for your EVO X. 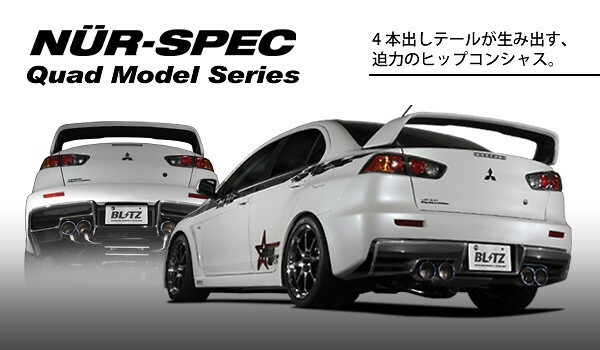 The exhaust system will not work with the OEM rear bumper or with other aftermarket bumpers. 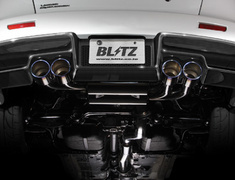 The Blitz NUR-Spec C-Ti - Quad Model Rear Diffusers are also sold separately. This part usually ships 45 days after payment, contact us for details.